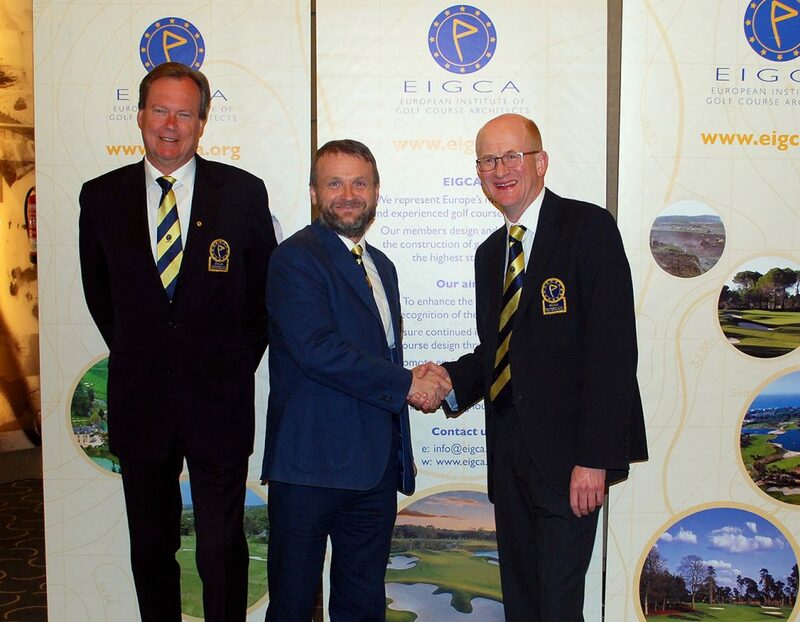 It’s been a big week for EGD’s involvement with the European Institute of Golf Course Architects (EIGCA). In addition to Ross becoming President, we would also like to recognise Dave Sampson, Rob Hiseman and Gary Johnston on their promotion to Senior Members of the EIGCA and to Alex Hay on becoming an Associate Member. These promotions are the result of years of great work, skill and dedication. We are very proud of each of them and offer our congratulations on this achievement. Above: Robin Hiseman (right) is congratulated by outgoing President Tom Mackenzie (left). Above: Dave Sampson (right) is congratulated by outgoing President Tom Mackenzie (left). 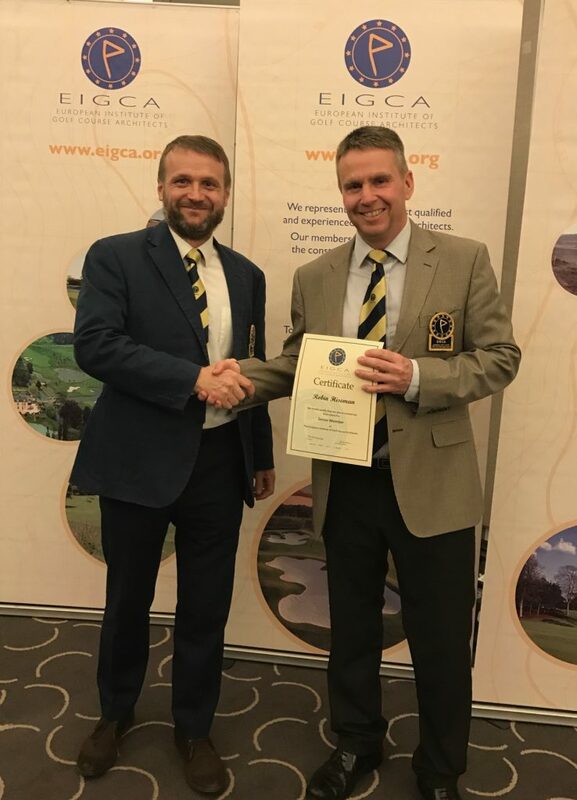 On his first full day in the role, everyone at EGD offers their congratulations to Ross McMurray on his election to the Presidency of the European Institute of Golf Course Architects (EIGCA). 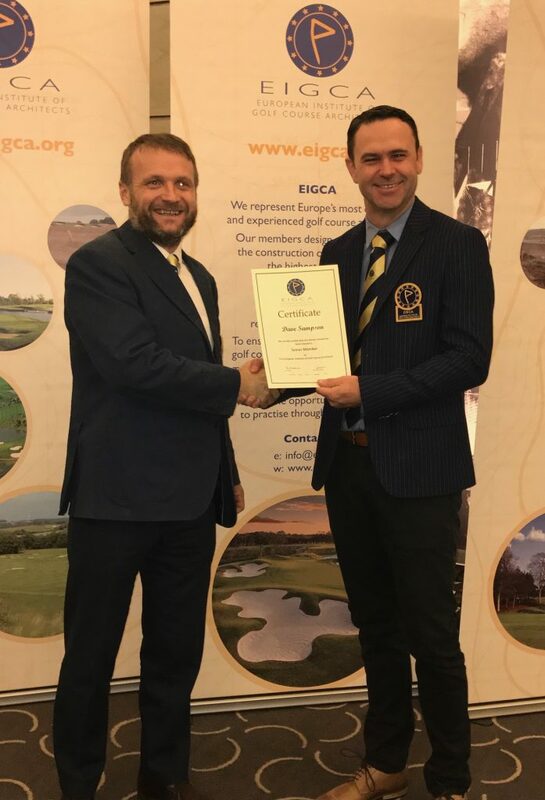 This is a great honour for Ross and recognises the contribution he has made to his colleagues at the EIGCA and to the wider industry over the last thirty years or so. We know Ross will perform his new role with his usual quiet diligence, professionalism and competence, and wish him much success over the course of his two-year term. The rumour that he wishes to build a wall around Europe and get Mexico to pay for it is, as far as we can tell, unfounded. Above: Ross McMurray (right) is congratulated by outgoing President Tom Mackenzie (centre). Christoph Städler (left) takes over from Ross as Vice-President. 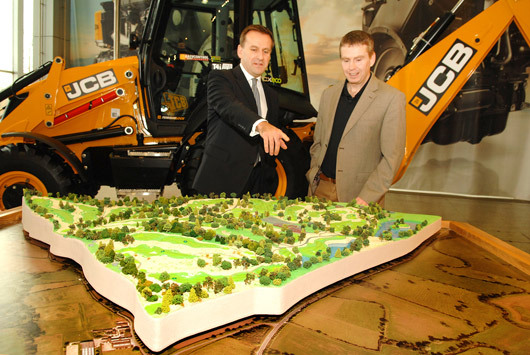 JCB has announced a new wave of investment in Staffordshire with plans for a £30 million golf course next to its World HQ to help boost sales and build global awareness of its brand. The proposals for a spectacular 18-hole, 7,150 yards, Par 72 championship golf course centre on 240 acres of rolling countryside to the south of its Rocester headquarters. When completed in 2018, it is expected that up to 100 people will be employed in groundcare and hospitality roles. The course will be designed by European Golf Design – the golf course design company of IMG and the European Tour – best known for the 2010 course at Celtic Manor in Wales, host of the 2010 Ryder Cup. It will be built to tour-quality standard and could potentially host a major tour event, attracting competitors and spectators from all over the world. The plans have been conceived by JCB Chairman Lord Bamford and follow an announcement in early December that JCB will invest £150m to build two new factories in Staffordshire and significantly increase production to meet an anticipated growth in demand for its products. At the heart of this premier golf development is Woodseat Hall, an 18th Century mansion currently in ruins, but which will have a new lease of life under plans to renovate it as the course clubhouse, complete with a new luxury spa, leisure facility and five-star hotel-style accommodation for visiting JCB guests from across the world. Lord Bamford said: “JCB is a global manufacturer with a successful track record in growing sales in overseas markets. As part of our plans to increase manufacturing capacity and grow sales, we need to build an even stronger awareness of the JCB brand around the world. 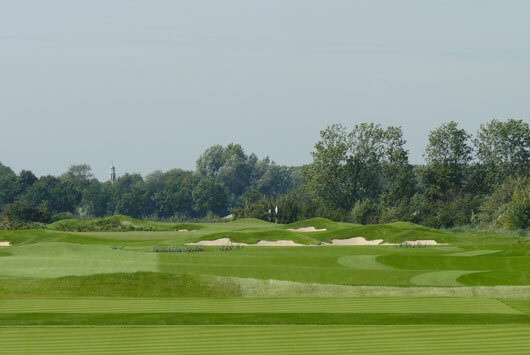 European Golf Design’s course architect for the JCB course, Robin Hiseman, said: “We were asked to create a premier tour-proven golf course to stand shoulder-to-shoulder with the very best contemporary golf course designs in the UK. We are very confident that our design meets this requirement, taking full advantage of a rich landscape that includes deciduous woodland, classic English farmland and historic parkland with many arboretum-standard specimen trees. “The course design, which is burgeoning with imaginative design concepts, will twist and turn around the natural contours of the site, dipping in and out of the woodlands and involving the existing water features in a range of exciting ways, including the spectacular and unique Par 3 17th hole, which plays onto an existing wooded island in the South Lake. The new golf course, which is subject to planning consent, will be made available mainly to JCB’s network of 770 global dealers. It will be used to drive business growth, helping to build relationships with new customers and strengthen relationships with existing customers. Upon completion, golf days will become a feature of the wider JCB visitor experience, which already includes factory visits, the ‘Story of JCB’ exhibition and machine demonstrations. (Sunningdale, UK – June 12, 2013) Prince’s Golf Club will host the Amateur Championship next week, following a major renovation of the golf course by European Golf Design. The Championship, which will be played over the historic links, represents an important landmark in the renaissance of one of Kent’s finest courses. Prince’s famously staged the 1932 Open Championship, won by Gene Sarazen, but the original course layout was subsequently destroyed during the Second World War and completely redesigned in 1950 by Guy Campbell and John Morrison to create the current 27 hole layout. Prince’s Golf Club has recently redeveloped their facilities. As part of this project European Golf Design was commissioned in 2010 to oversee a number of improvements ahead of the course hosting both the Final Open Championship Qualifying in 2011 and the 2013 Amateur Championship, which the club is co-hosting with Royal Cinque Ports. 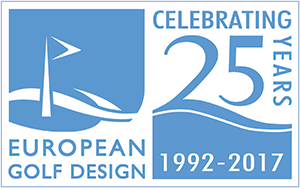 European Golf Design’s role was to carry out a strategic review of all 27 holes and oversee a total bunker restoration programme. A number of new tee complexes have been constructed and two fairways relocated to restore the original design intent and improve strategy. The Amateur Championship is taking place between the 17th and 22nd of June. The 288 player field play one round each at Prince’s and Royal Cinque Ports, after which the 64 players with the lowest scores go forward to compete in the match play stage of the competition. We are very proud that three of the golf courses designed alongside 2010 Ryder Cup captain Colin Montgomerie will be hosting upcoming tournaments on the European Tour. Turkey is one of the fastest developing golf nations in the world and the 78-man field tournament will be played from November 7-10, 2013, the week before the DP World Tour Championship, Dubai – the climax to the Race to Dubai. 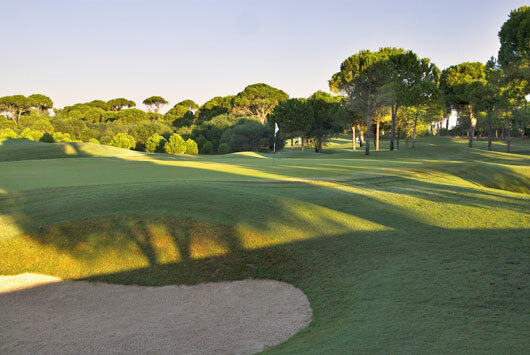 The Montgomerie Maxx Royal is set within 104 hectares of picturesque, mixed pine forest and sandy ridges, the feel of the natural environment has been maintained, thereby enhancing the particular characteristics of the golf course. The par 72 Montgomerie Maxx Royal measures 6486 metres. Carton House, which has twice hosted the Irish Open, most recently in 2006 and the Seniors Open in 2010. The vast Kildare estate is also the home to the Golfing Union of Ireland and has two of the east coasts finest courses, The Montgomerie and The O’Meara. 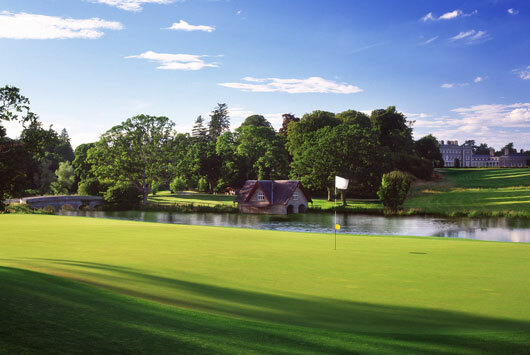 The Mark O’Meara designed classic parkland course may lull you with it’s beauty whilst the Colin Montgomerie course is an adventure from the 1st to the last hole and is proud to have hosted the worlds finest golfers at the 2005 and 2006 Irish Opens. European Golf Design (EGD), the golf course design company of the European Tour and IMG, was an early pioneer of golf in Turkey when its Sultan Course at Antalya Golf Club opened nearly 10 years ago…today it welcomes the world’s best, playing for $5.2million in the Turkish Airlines World Golf Final. Threading its way through pine and eucalyptus, up and over sandy ridges and around clear water lakes, The 7,000 yard Sultan Course typifies why the Belek region of Turkey has become one of Europe’s fast-growing golfing playgrounds. Boasting 14 golf courses, Turkey’s Mediterranean coast has already established itself as an award-winning international golf tourism hotspot, hosting the International Golf Travel Market in 2011 and with ambitious plans for more golf resorts. 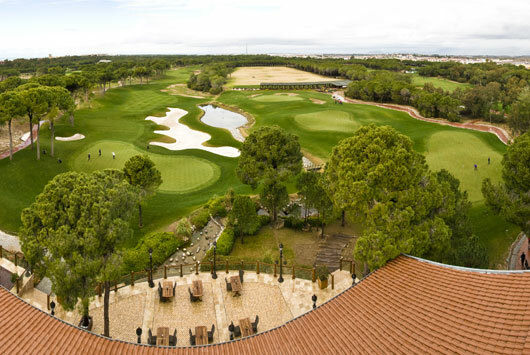 Since the Ministry for Tourism designated the Belek region for development, due to its outstanding beauty and consequent appeal to golf tourists, EGD has been at the heart of golf course design in the region, and is responsible for three 18-hole layouts – The Sultan and Pasha Courses at Antalya Golf Club, plus The Montgomerie at Maxx Royal. The Turkish Airlines World Golf Final sees eight of the world’s finest tournament professionals (Tiger Woods, Rory McIlroy, Lee Westwood, Justin Rose, Charl Schwartzel, Hunter Mahan, Matt Kuchar and Webb Simpson) play in this unique matchplay event, a first for Turkey, and it underlines the country’s growing domestic interest in the game. In addition to its completed work in Belek, EGD is currently working on a project in association with former World Number One, Annika Sorenstam, at Olivion Golf Resort that will see the construction of an 18-hole golf course, nine-hole par 3 pitching and chipping course, as well as an extensive short game practice area. This will form part of an integrated resort to include a private residential community, five-star hotel, retail plaza and waterside village community. Celtic Manor "Most popular golf destination in the UK"
European Golf Design (EGD) has been recognised for its role in creating the iconic Twenty Ten Course at the Celtic Manor Resort, recently rated the most popular golf destination in the UK by a leading golf travel company. The 2010 Ryder Cup venue tops the list of Best Selling UK Golf Hotels on yourgolftravel.com with the resort reporting a 26 per cent growth in golf revenue in the second year since hosting the prestigious matchplay tournament. Russell Phillips, Celtic Manor Vice-President of Facilities and Development, who project managed the course build and staging of the Ryder Cup, said: “It was fundamental to the success of the Ryder Cup and the legacy of hosting the event that the Twenty Ten Course be designed for play by both the world’s best and the golfing public. 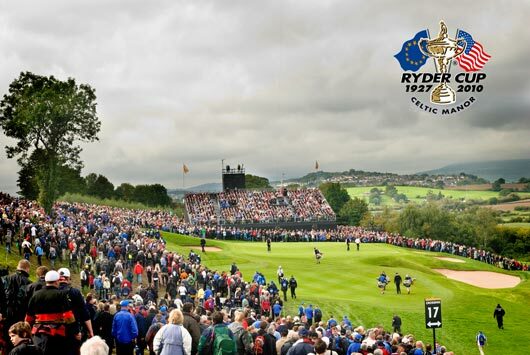 Owner of Celtic Manor Resort Sir Terry Matthews hired the expertise of EGD in 2001 with the vision of winning the bid to host the 2010 Ryder Cup and bringing the prestigious event to Wales. The joint venture company of the European Tour and IMG set about designing the first ever purpose-built Ryder Cup venue as part of a £16 million development setting the stage for the dramatic 2010 event. Describing how to create a course that offers the drama and spectacle required for a Ryder Cup, combined with playability for the golfing public, Ross McMurray, Designer of Celtic Manor’s Twenty Ten Course, said: “With creative design, you can ensure that all golfers can enjoy even the most demanding of tournament courses. “Our priority was to design a course fit for the Ryder Cup, which would challenge the professionals and create a sense of drama for the viewers, while also catering for the infrastructure around the venue required for the thousands of spectators, the world’s media plus all the event’s staff. “However, one of the beauties of golf is that the fans can play on the same courses as the tour professionals, so it was also important that everyone could enjoy the course. Established in 1992, EGD has made its mark on more than 50 projects across four continents, from Ryder Cup venues to nine-hole academy courses and is involved with preparations for both the 2018 Ryder Cup at Le Golf National, Paris and the UK’s first European Tour Performance Institute at London Golf Club, Kent. Jeremy Slessor, Managing Director of EGD, said: “The most crucial element of any development, golf or otherwise, is sustainability. “The three Ps of sustainability are: Profit, People and Planet and each is as important as the other. “At Celtic Manor, the infrastructure required was phenomenal. When you’re anticipating crowds of 40-45,000 people that will travel around the course with only three or four groups you have to know how they’re going to get there, what they’re going to do while they’re there and how they’re going to get out. “With the event taking place in Wales during October, we could be fairly certain that weather would be a factor and by installing extensive flood defences and fairway drainage we ensured that the course would stand up to the deluge it experienced.